This year’s event will again feature adoptable pets, which members of the humane society socialize throughout the evening, and families can bring their own dogs to sit with them on the patio while they eat dinner. For one evening this September, Vino will be going to the dogs. Scheduled for Sept. 6 from 5:30-8:30 p.m., the restaurant will be hosting its second Pooches on the Patio event, again to benefit the Greater Birmingham Humane Society. Rabiee said the event will again feature adoptable pets, which members of the humane society socialize throughout the evening, and families can bring their own dogs to sit with them on the patio while they eat dinner. 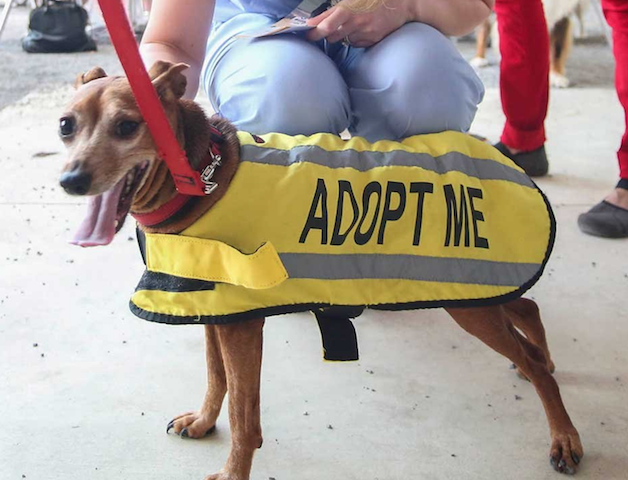 “[Last year], everybody loved sitting out on the patio with adoptable pets walking around and learning more about the humane society,” Rabiee said, and Vino provided water bowls for any thirsty dogs. During the hours of the event, 15 percent of the sales that evening will go towards the humane society, too. Similar to last year, specialty drinks will also be available, and all attendees — two-legged or four-legged — will receive a goodie bag. Rabiee said that the goodie bags for the people will include brownies and Vino’s well-known apple fritters. “That’s truly a treat, for sure,” he said. Registration and tickets are not required for the event, although reservations are recommended for the evening. Contact Vino by calling at 870-8404. Editor’s note: This article was updated on Aug. 17 at 3:40 p.m. to attribute quotes to Al Rabiee.